AdForest is one of the leading and the latest Premium Classified Ads WordPress theme. Adforest provides an outstanding front-end UI. 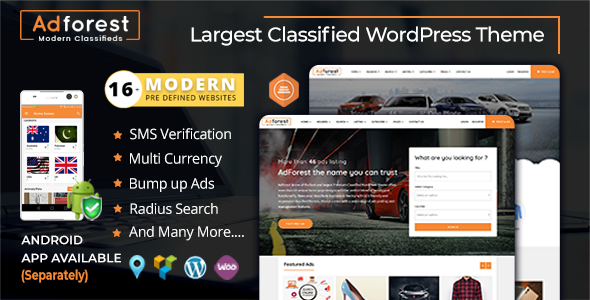 You can get Directory & Listing classified wordpress theme with different color options and with awesome functionality. Google map is also integrated in WordPress ads theme.